Russia's newest warship has been shadowed by the Royal Navy as it sailed through the English Channel. 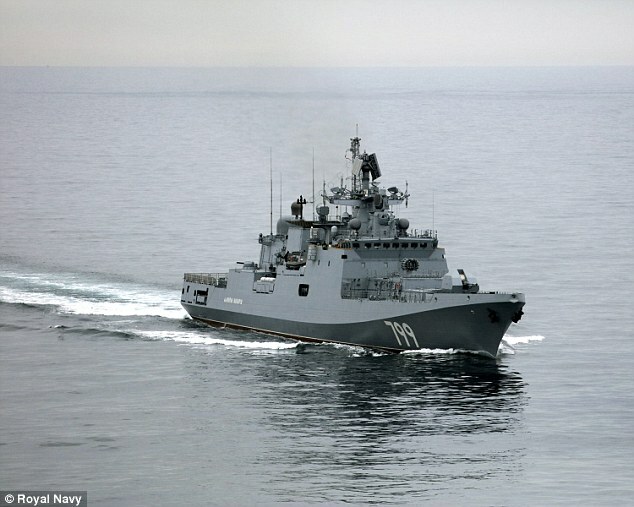 The 4,000-tonne Admiral Grigorovich-class frigate is the latest in a number of Russian warships to be watched over by the Royal Navy as they sail close to UK shores. The commanding officer of the Royal Navy's aircraft carrier HMS Queen Elizabeth has spoken of the 'eye-watering' level of Russian naval activity in the Atlantic region in recent years. What is the Admiral Makarov? The Admiral Makarov is a 4,000-tonne Admiral Grigorovich-class frigate. It joined the Russian Fleet at the end of last year and was built in Kaliningrad. The warship was laid down at the Yantar Shipyard on February 29, 2012, and floated out on September 2, 2015. It boasts a speed of 30 knots and sea endurance of 30 days. It is also reportedly armed with Kalibr-NK cruise missiles, the A-190 100mm artillery gun, antiaircraft artillery, a rocket launcher, torpedoes and can also carry a Kamov Ka-27 or Ka-31 deck-based helicopter. 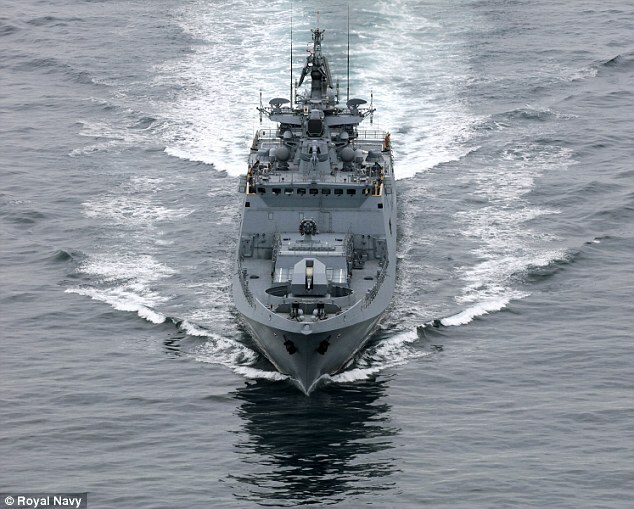 A Royal Navy spokesman said: 'They are the latest Royal Navy assets to be activated over the summer to monitor the activity of Russian surface ships sailing in or close to the UK's sphere of interest. The RAF is also involved in monitoring Russian activity. In January, two Russian Blackjack bombers were intercepted by the RAF over the North Sea. How many times have Russian warships passed through the English Channel? On August 7, a Royal Navy warship shadowed two Russian warships as they passed through the English Channel. Type 45 destroyer HMS Diamond sailed from Dover, Kent, to monitor the Russian destroyer Severomorsk and cruiser Marshal Ustinov as they passed through the UK's area of interest which is either the UK's territorial waters or near to this area. 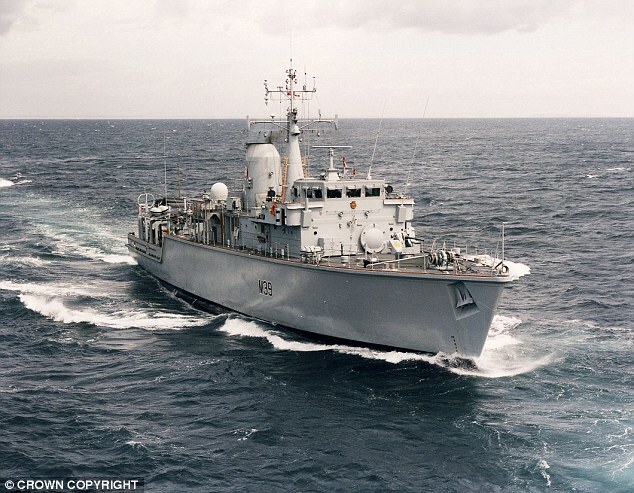 In June, HMS Montrose, a Type 23 frigate, left its base in Plymouth and sailed into the North Sea after the alert was raised about a Russian duo which were sailing down the Danish and Dutch coasts. 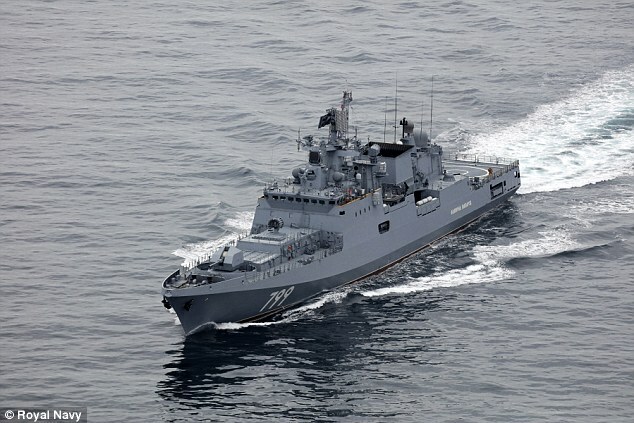 The two Steregushchiy-class corvettes, RFS Boikiy and Stoikiy, slowed down and approached the Norfolk coast. As well as HMS Montrose, the Russian vessels were tracked by the Maritime and Coastguard Agency and the RAF which provided overwatch. And at the beginning of the year, frigate HMS Westminster was dispatched to keep track on the activities of two Russian frigates and their support vessels returning to the Baltic after operations in the Middle East. Then HMS St Albans monitored the new Russian warship Admiral Gorshkov at Christmas.